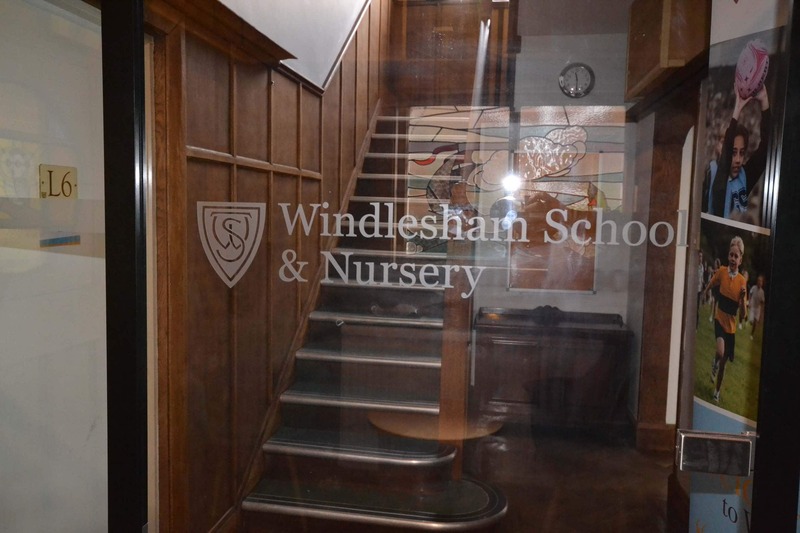 Windlesham School & Nursery is an independent day school in Brighton. 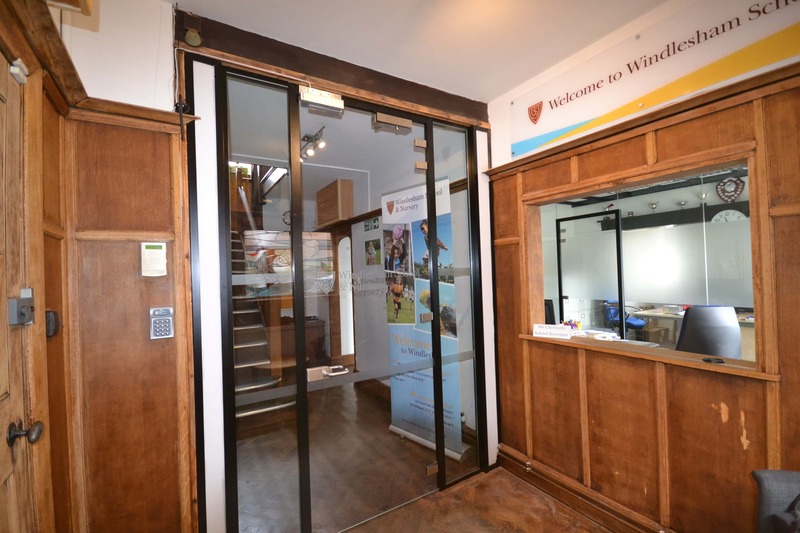 The brief for this project was to create a separate office area at the rear of the main reception area. The aim was to allow staff to see into the reception area but also maintain a degree of privacy for when holding informal meetings. 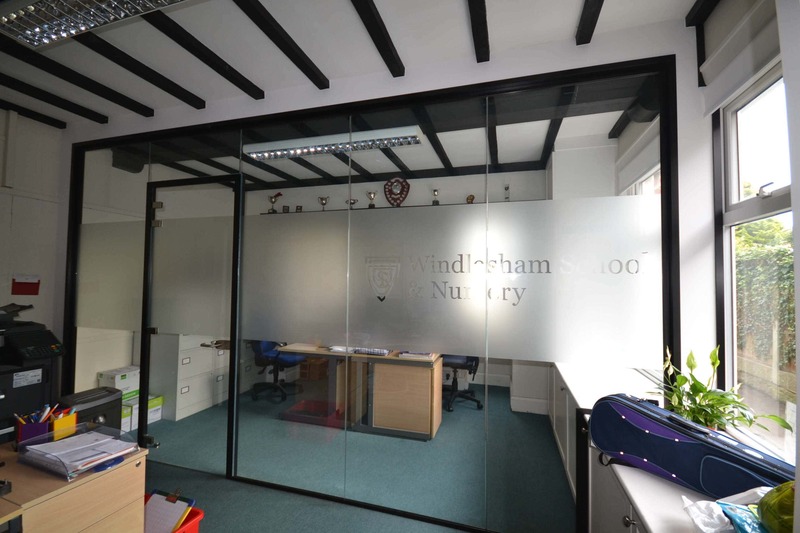 After our first meeting we provided a quotation which would create a light and contemporary partition within a period section of the building. Once we were instructed we scheduled the timing of the work to cause zero disruption to the running of the school during working times. We installed a plasterboard section to both wall ends and created a partition from sound-blocking plasterboard. 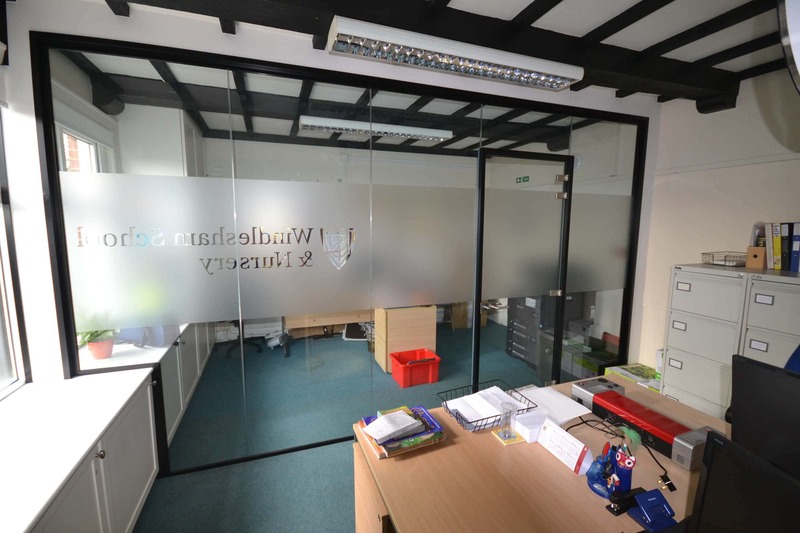 We finished the area with a 12mm thick toughened frameless glass partition, which incorporated a slim-line door frame. This, in turn, housed a clever glass door with a drop down acoustic seal. This gives a great level of sound reduction for the budget. 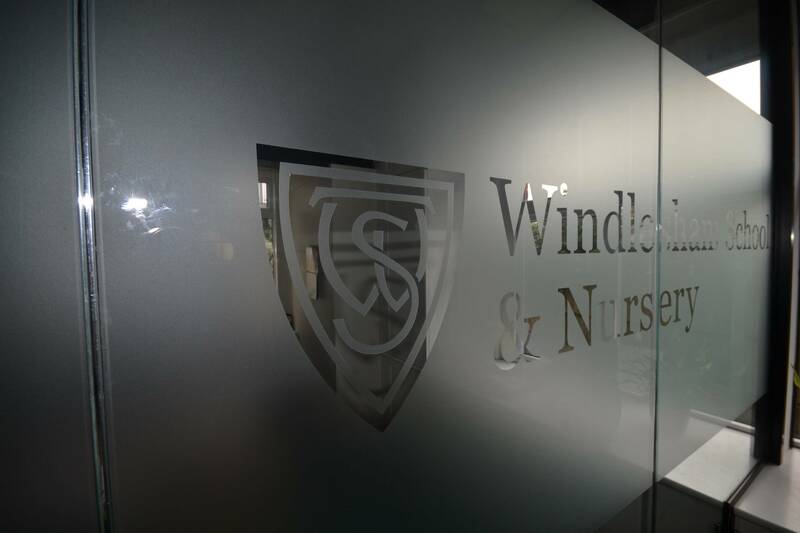 A frosted film was fitted to the partitioned glass, which now smartly presents the school logo in a position visitors see upon entering the building.